- 'DEATH OF THE FAMILY' continues! 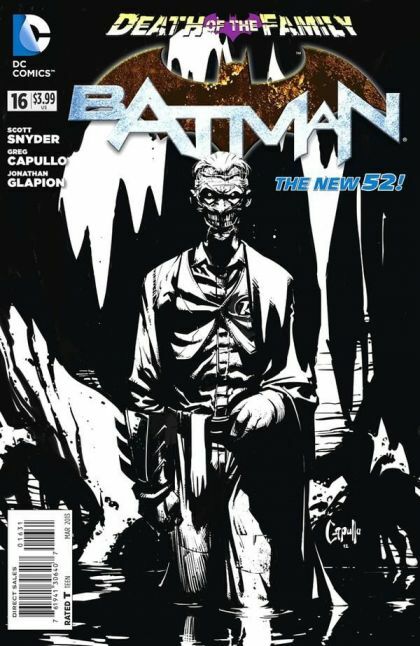 - Batman heads into his showdown with The Joker as the madman's plan is finally revealed - in Arkham Asylum! - It all lead's into next month's terrifying conclusion! - And in the backup story, in the midst of The Joker's assault on Batman and his allies, get a secret glimpse into what started The Crown Prince of Crime on his horrifying journey!